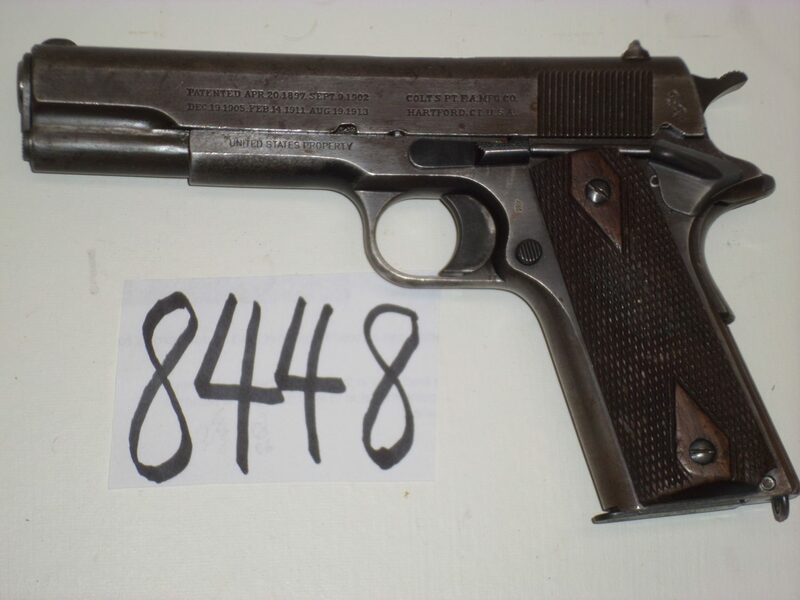 Colt 1911 .45 US Property Marked, also marked US Army. 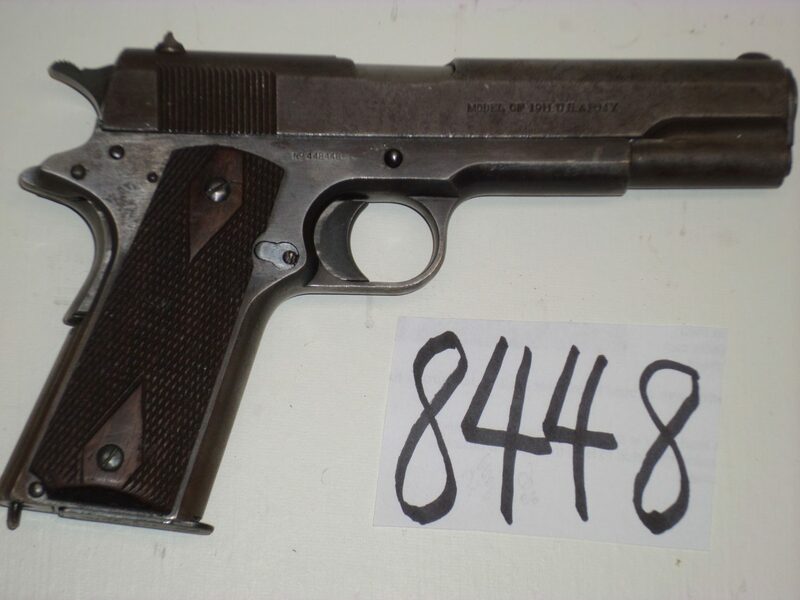 Made in 1918 and has excellent bore and action. Slide has gray/grown patina, frame has 50% blue. Original diamond grips.